2015 has been a very good year for Frank Sinatra fans. 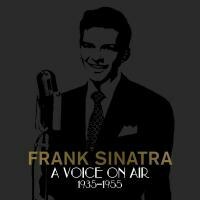 The centennial of the singer's birth (on December 12, 1915) has seen the release of the two-part HBO documentary All or Nothing At All, multiple exhibitions, an expansive radio rarities collection, several new books and biographies, even a special Sinatra-themed whiskey. This plethora of Sinatra-related events and activity seems to have quenched the thirst of even the most ardent Sinatra enthusiasts, but there is one man who is not entirely pleased with the hoopla. For over 70 years, Frank Sinatra Jr. has stood, with great pride, in his legendary father's shadow. An accomplished singer himself, Sinatra Jr. served as his father's musical director and conductor for the final years of his father's career, and since Sinatra Sr.'s death in 1998, has served as one of the most prominent defenders of his legacy. Frank Jr.'s "Sinatra Sings Sinatra" tour plays to packed symphony halls and auditoriums around the world, harkening back to a long-past era of tuxedoed singers, big bands, and the Great American Songbook; in a word, class. But despite his accomplishments as both an entertainer and champion of the Sinatra legacy, the persistent rumors and controversies surrounding his father's life continues to haunt the 71-year old Sinatra Jr. It's difficult to imagine Frank Sinatra Sr., renowned for his limitless artistic talent, emotive power as a performer, and, it must be noted, ferocious temper, as a "rather simple man," but that's exactly how his son describes him. The seemingly endless Sinatra scandals, hearsay, and rumours -- about shady goings-on in Las Vegas, connections to the mob, a bevy of celebrity bedfellows, alcohol abuse and more -- continue to plague the late singer's reputation, however legion and universally-acknowledged his musical accomplishments. But according to his son, the vast majority of this gossip is simply that: gossip, designed solely to enrich and aggrandize the gossipers while, at the same time, tarnish his father's image. And Sinatra Jr., who chooses and enunciates his words with great consideration and tact, has had enough of it. We recently caught up with Frank Sinatra Jr. on the eve of the 100th anniversary of his father's birth to talk legacy, what makes great art, what he thinks of the activity surrounding the centennial, and what it's like to share a name, bloodline, and profession with the greatest entertainer of the 20th century. I'd imagine that when most people first meet you they're more likely to mention your father's accomplishments, as opposed to your own. I'll also guess that people have been doing that for most of your life. How does that make you feel? Doesn't it get old? Well, you have to take it in perspective. In terms of his accomplishments as opposed to my accomplishments, mine are almost non-existent. He is the one who has made these great accomplishments, so you really can't blame people for gravitating toward what it is they know, and what it is they believe in. You've been the primary guardian of your father's legacy for some time now. Is that not an accomplishment in and of itself? As a practicing entertainer, I've never had a hit record. I've never had a hit television show. I've never had a hit movie. Those are what are called, in the "trade," accomplishments, none of which I have actualized. Therefore, as I say, he is the one who has won Grammys, and Oscars, and all kinds of trophies, and awards, and accolades, and things like that. Not I. So I cannot begrudge people for applauding what it is they admire so much. What would you say is the biggest public misconception about your father? It's now been 100 years since he was born, and there's been a lot of attention, a lot of events going on. What do you think the public still gets wrong, in large part, about your Dad? I'll tell you what it is. There have been a plethora of articles in newspapers, magazines, there's a couple of new books out. And because of the nature of my travels, regrettably I have to read these terrible things. And the real bad thing is that there are stories that are told firsthand, secondhand, thirdhand, fourth-hand, fifth-hand. And it's like when you play "telephone" when you were a kid. When you whisper something in someone's ear that goes to the next -- and by the time it comes around the circle it's nowhere near what the first message was. And all of these people, in order to aggrandize themselves, and, of course, to sell their writings, they add more falsity into these stories which are watered down so many times anyway. And most of that which they add is all fabrication, it is all scandalous, it is all controversial, it is, in many instances, criminal. And what they do to the reputation of a man who has been in his grave for nearly 18 years now is equally criminal.